I have recently posted about the Ardun heads that converted the Ford “flathead” V8 engine into an overhead valve engine with a hemispherical combustion chamber. The hemispherical combustion chamber has become somewhat of a legend in North America. This legendary status has risen from the performance of the Chrysler “hemi” engine that powered the Dodge and Plymouth “muscle” cars of the 1960s and early 1970s. 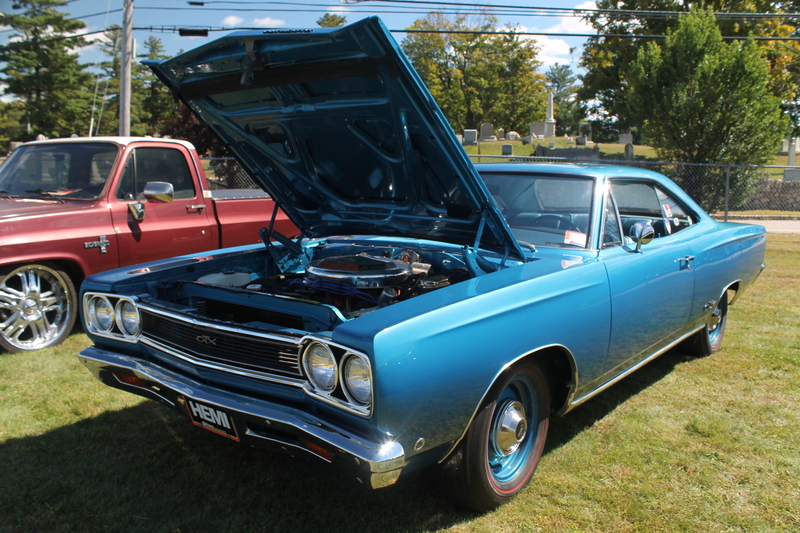 This post will feature one of those cars, a 1968 Plymouth GTX with a 4-speed transmission, i.e. a hemi 4-speed. I don’t care what else that you might hear about the ultimate muscle car when you watch some of the car auctions on television, to me any car with the 426 cubic inch hemi engine is eligible to be the ultimate muscle car. 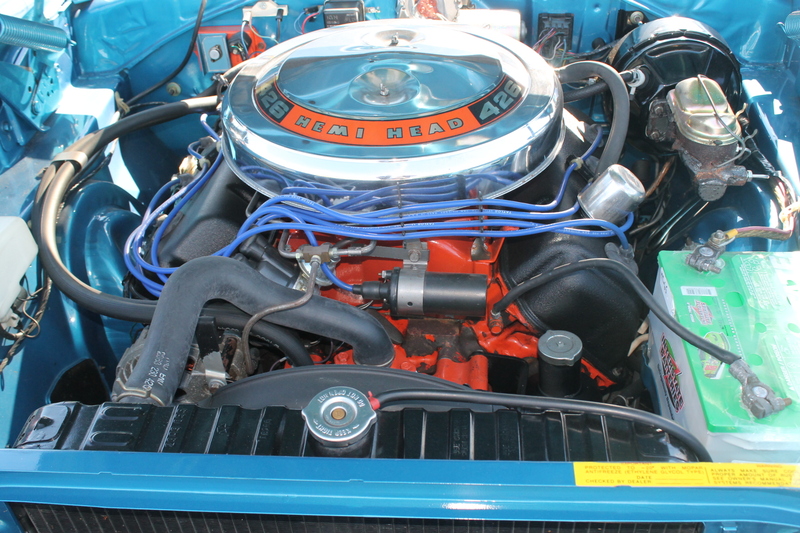 The 426 cubic inch hemi engine had an “over square” engine design with a bore of 4.25″ and a stroke of 3.75″. This engine was large, which made it difficult to fit into the engine bays of the cars. During the muscle car era the engines were getting bigger while the cars were getting smaller. The 426 cubic inch hemi engine was also very heavy in the standard street condition. Many of these hemi engines that were used in racing had lightweight components, such as manifolds and oil pans in order to reduce overall vehicle weight and to improve the weight balance between the front and back of the vehicle. 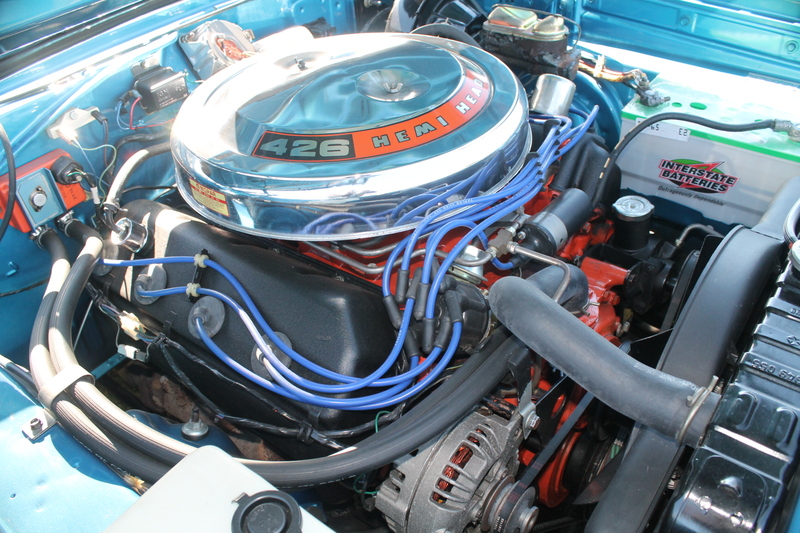 The rated horsepower of the 426 hemi engine was 425 horsepower, but it is generally thought that the engine had more horsepower than 425; however the actual value is not known for sure. My thought on this is that it could be that not all hemi engines in all models were the same and these variations result in a range of actual horsepowers, which has fuelled the actual horsepower debate for this engine. In those days it was common to under-report the actual horsepower to be more acceptable to the insurance companies. 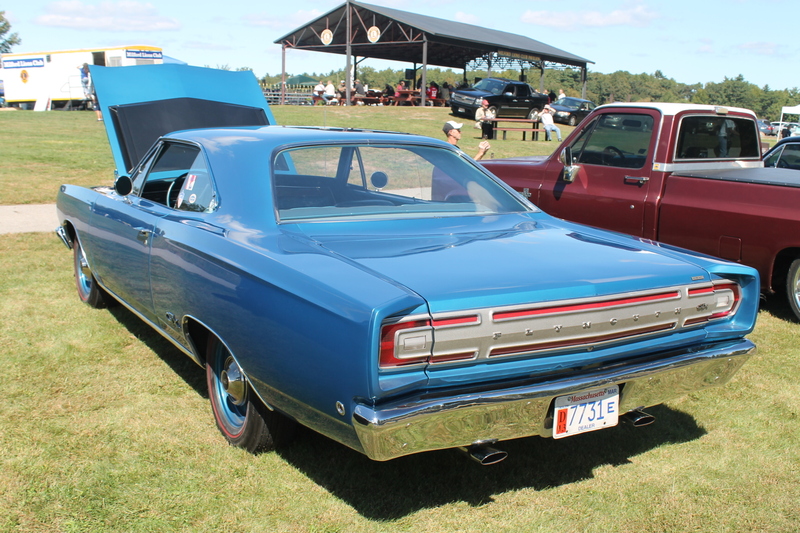 There were other cars in which Chrysler put the hemi engine, but these were not always street legal. The hemi engine was of particular interest to people who were looking for serious speed on the street or who were interested in racing their car. Bling was not high on their list of priorities. As a result, many of the cars that had the hemi engine installed were not highly optioned with non-essential items. This seems to be the case which this car. The Plymouth GTX was not a low end model, but this particular car would seem to be a basic Plymouth GTX. 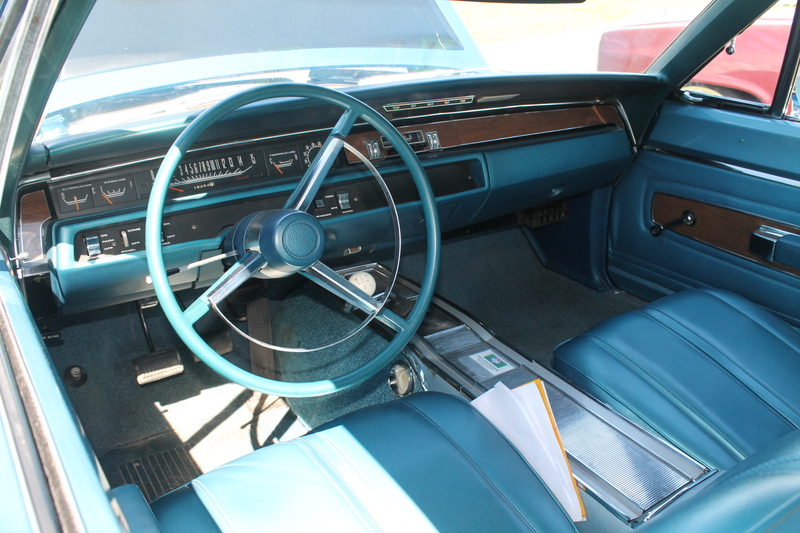 The 4-speed transmission that comes with this car would have made it a serious street racing machine in the late 1960s. Chrysler initially developed their hemi engine in the early 1950s. The early hemi engines were available in their street cars from 1951 to 1958. Then there was a period when Chrysler did not offer a hemi. However in the mid-1960s, organized drag racing took off and NASCAR was also starting to significantly grow. In order to increase Chrysler’s winning, the hemi engine was revived. In those days the phrase “Win on Sunday; Sell on Monday” was the operating philosophy of the American car industry. 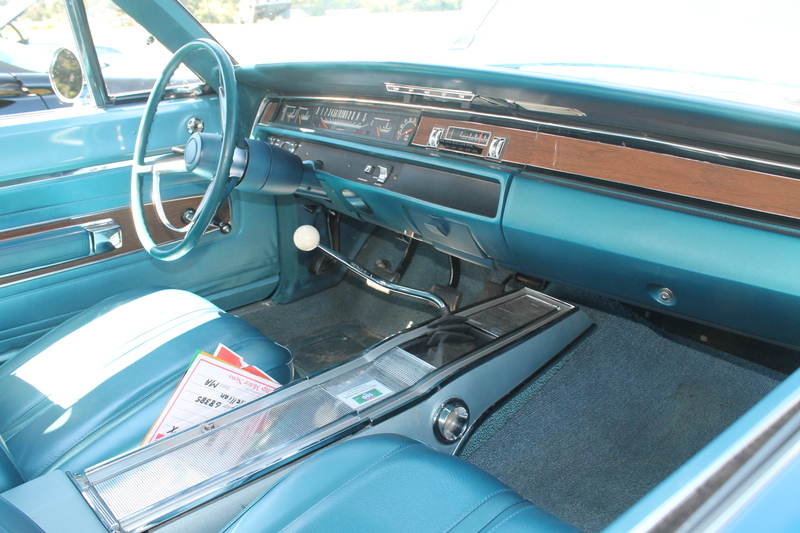 When the muscle car era came to an end in the early 1970s, the second hemi era came to an end. Recently Chrysler has brought newer versions of the hemi engine forward. Despite the very impressive performance of the new hemi engines, some of Chrysler’s advertising recalls the performance reputation from the “real” hemi. In it’s day, it was quite an engine.